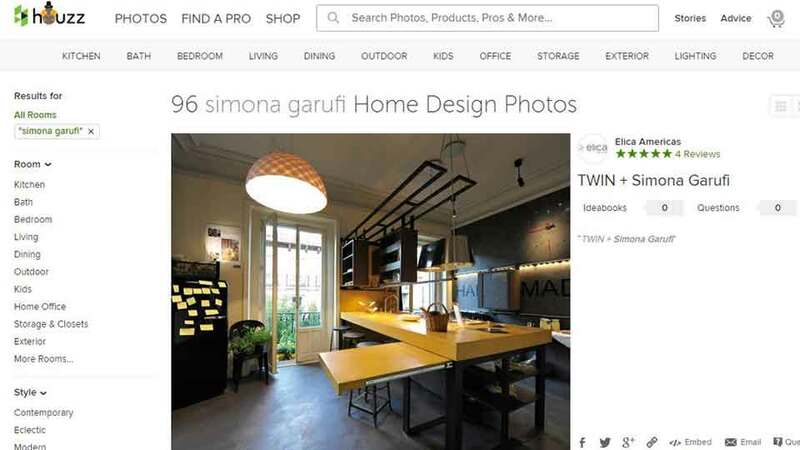 SGArqdesign / Publication / Simona Garufi is on “Houzz.com”, the “Wikipedia of interiors”! Simona Garufi is on “Houzz.com”, the “Wikipedia of interiors”! According to “The Telegraph”, houzz.com is the first of the top 50 web sites dedicated to interior design. I’m present in this amazing photo archive through the kitchen Past-IT, realized in 2011 and sponsored by Elica Americas. Who wouldn’t like to have a kitchen like this…? !